The fallout for Goldman Sachs from a foreign bribery scandal involving a looted Malaysian investment fund could mean reduced compensation for several senior executives at the Wall Street bank including the chief executive, David Solomon, and his predecessor, Lloyd Blankfein, according to a regulatory filing made Friday. The bank’s board, in approving year-end compensation for Mr. Solomon and Mr. Blankfein, adopted a provision giving it the ability to claw back or reduce some of that pay package depending on the outcome of a federal investigation into the taking of billions of dollars from the 1Malaysia Development Berhad fund, known as 1MDB. One former top Goldman banker has already pleaded guilty to federal charges in connection with the investigation, and a junior banker has also been charged. Federal prosecutors have said that at least $2.7 billion was looted from the fund by people close to Malaysia’s former prime minister Najib Razak. Goldman Sachs was the primary banker for 1MDB, helping to sell nearly $6 billion in bonds. The bank has said it regrets the fraud carried out by its former partner, Tim Leissner, but has said it followed appropriate procedures and is cooperating with the investigation. The bank said the clawback provision would give the board the “flexibility to reduce the size of the award” to senior executives, if necessary, as a result of the 1MDB case. 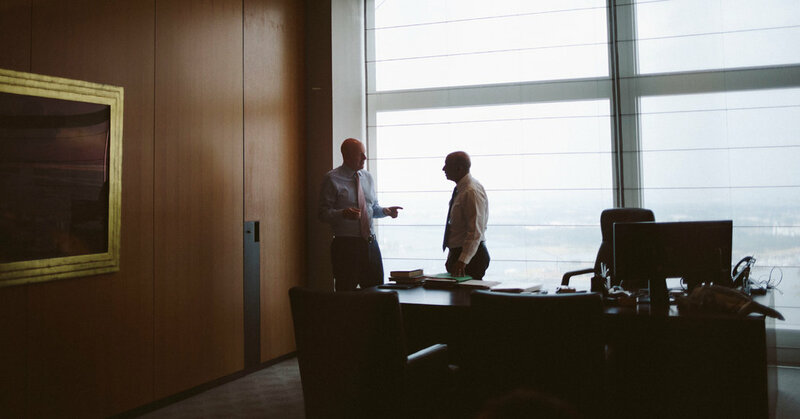 Mr. Solomon replaced Mr. Blankfein as chief executive on Oct. 1, although Mr. Blankfein stayed on as chairman of the board through the end of the year. The board set Mr. Solomon’s total compensation package for 2018 at $23 million, a $2 million increase from the previous year. Mr. Blankfein’s total compensation for 2018 was $20.5 million. The filing seemed to be aimed, in part, at Mr. Blankfein. The board said it would “defer its decision” on some awards for its long-term incentive plan for retired executives until more information was known about the investigation. The forfeiture and clawback provision could cover up to five top current and former executives at the bank, said a person who is familiar with the matter but not authorized to speak publicly on board matters. The holdback on the long-term compensation plan could apply to up to three retired executives, including Mr. Blankfein, Michael Sherwood and Michael Evans, the person said. The provision goes beyond the board’s general power to claw back compensation from executives, which was adopted in 2015. The inclusion of a provision specifically regarding 1MDB is a sign of the seriousness of the investigation, which has also led to federal charges against the financier Jho Low, who remains at large. Toward the end of last year, Goldman began setting aside money for a potential resolution of the investigation by federal prosecutors and bank regulators, as well as the authorities in Malaysia. Under most compensation plans, top executives are awarded a bonus of a certain size but then receive it in parts over the next three to five years. This system allows boards to “claw back” pay before the executive receives it, in cases where missteps have occurred. But compensation specialists said it was rare for a board to announce that it might take back pay for a specific cause.